Often in life, we are so wrapped up in the details of our challenges that we don’t see the entire picture. From our ground-level view, we only see the frustration or suffering. It could be a relationship issue or a financial struggle but when you have the courage to ask for new information about the “whys”, everything changes. This is what you can do when you work in your Akashic Records. Your Record Keepers will offer you a completely different view of your experiences and their purpose. Imagine you’re standing on the street where you live. You look around and see the cars that are parked, the other houses or buildings, the trees and flowers. Now put yourself on a branch at the top of one of those trees. You still see everything you saw before, but it looks a little different because now you can see the adjoining streets and all that is on them. What if you could drift up into the sky and soar through the air like an eagle? You’d be able to see not only your neighborhood, but the surrounding ones as well. And if you could float even higher, say to the altitude of a jet, you’d see your entire city and all that comprises it. The small details become less significant because your view now encompasses so much more. This is what working in the Akashic Records is like. The Akashic Masters and the information they provide about your karma, soul contracts and past life vows gets you out of the details. When you’re not mired in the specifics of a situation, you stop fighting the “reality” of your challenges and break the pattern of making the same kinds of decisions over and over. Knowing what is in your Akashic Records allows you to see how your current life relates to your past lives. The insights you receive nudge in the direction of your passions and purpose, and help you to dissolve whatever blocks your path. It is easier to make the highest and best decisions for your life and your soul when you see the bigger picture. Your choices are more impactful when you’re aware of the various paths, plans and options afforded to you. 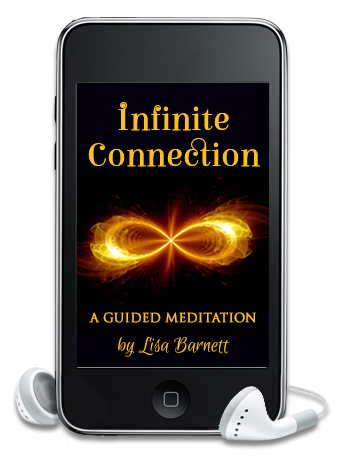 Plus, knowing how past life choices connect to your soul plan in this life and how your unconscious childhood beliefs still affect you, get you “unstuck” and move you closer to the life you want to live. 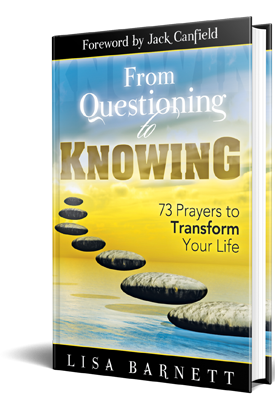 Whether you’re looking for a simple and profound healing tool or interested in learning more about your soul plan and how the Akashic Records can help you or your a practiced student, my book, From Questioning to Knowing: 73 Prayers to Transform Your Life, will help you get that 10,000-foot perspective so you can make more choices for your life that are aligned with your passions and purpose. I’ve gotten such wonderful feedback (See what Jack Canfield has to say!) that I’m still offering all of the free gifts I created to celebrate! That’s how much I believe in the power of the Akashic Records. When you visit: www.PrayersToTransform.com, you’ll have access to all of the gifts and be able to purchase the book. We could all use a new perspective on life’s challenges. Why wait? I do find that many of our financial challenges have many layers such as ancestral beliefs and energy passed down through the generations, beliefs we picked up as children which are now unconscious and can be from parents or religious or just other people talking about money being bad. We also have past life vows of poverty and other types of past life vows. I find the prayers are helping to create miracles for many people and some have repeated a prayer for weeks or months. Because we are ancient and complex souls I find that learning to access the records for yourself or doing one-on-one work with me or trying a Home Study class can take you much deeper. I feel so blessed to come across this material. Feeling immersed in certain feelings like frustration, resentment and anger. Not knowing where to turn the column of light meditation helped me to point me towards a healer. Getting in touch with the Akashic records makes it somuch easier to find the right person. Thank you for sharing Ruerd. I’m so happy to be of service. Blessings on your akashic journey. The shares a lot of information from the Akashic Record Keepers about these questions so you can see the bigger perspective and start to understand some of the “Why’s”. empowered to have this connection and wisdom always available to you.